Wilma I. Wilson, age 90, of Newark, Ohio, passed away on January 30, 2019, after a short illness. She was born on October 12, 1928, to the late Samuel and Lucy Woltz. Wilma is survived by her sons, Ronald (Bente) Wilson, Dennis (Chris) Wilson, and Steven (Tammy) Wilson; eight grandchildren; ten great-grandchildren; and one brother, Ralph Woltz. In addition to her parents, Wilma was preceded in death by her husband, Robert, three sisters, and two brothers. Wilma enjoyed her flower garden and spending time with her family. Until recently, Wilma looked forward to visiting the Lancaster Fair. Visitation will be held on Monday, February 11, 2019, from 10-11 AM at Brucker Kishler Funeral Home, 985 N. 21st Street, Newark, OH. where a funeral service will follow at 11:00 AM with Pastor Wally McLaughlin officiating. A graveside services will follow in Wilson Cemetery. 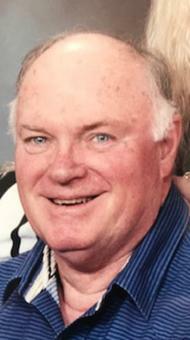 CORVALLIS — William L. “Bill” Taggart, 82, of Corvallis, passed away Jan. 15, 2019, at St. Patrick Hospital. He was born Jan. 3, 1937, in Newark, Ohio, the son of the late Lawrence Taggart and Evelyn (Kirkpatrick) Taggart. Bill joined the Navy and was an underwater demolition frogman. He worked for Ohio Power as a lineman and then went to work as a mechanic for a SOHIO gas station in Heath, Ohio. He later worked for Snap-on-Tools, as a field rep and then district manager for a 27-year career. During his time with Snap-on, he purchased some land and started farming with his son. Bill wasn’t the type to sit around, so shortly after retiring, he joined the fire department in Hebron where he worked his way up to lieutenant and also became an EMT for a number of years. He was the mayor of Hebron, Ohio, in the late 80s. Bill and Karen moved to Montana in 2000 where they loved living in the country with some acreage and mountains all around them. They made many friends over the years. Bill could make friends just walking down the road and starting a conversation, no one was a stranger. Bill enjoyed working in his wood shop where he made furniture out of old barn wood. He even made a large seven foot tall cross for St. Mary’s church in Stevensville. He also enjoyed fishing and hunting with his buddies. He would go to Memories Café in Corvallis where he could chat with all of his friends with a cup of coffee. Bill is preceded in death by his mother and father, brother Ronald, wife Karen, son-in-law Terry Mason, great-grandson Elijah Thomas Colopy, and sister-in-law Juanita. Bill is survived by his son Mike (Mindy) of Corvallis, daughter Patricia Mason of Hebron, brothers Richard (Linda) of Granville, Jim of Newark, John (Joyce) of Newark, sisters Mary (Robert) Adams of Granville, Donna (Gary) Rutter of Newark, five grandchildren, nine great-grandchildren, and many nieces and nephews.